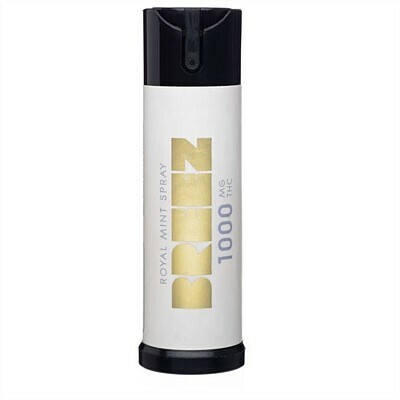 BREEZ's Royal Mint Spray is a formulated cannabis tincture spray, with convenient, precise dosing for daily use. Each spray contains approximately 10mg THC, approximately 100 sprays per bottle. 1000mg THC total. Enhanced with natural terpenes from peppermint oil and vanilla extract. For experienced consumers only. Wait 1-2 hours for full effect. Effects may last up to 8 hours.